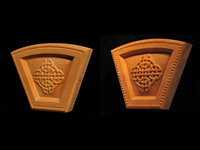 Heartwood Carving offers the following levels of Custom Carving work. Modifications are requests to change the form (size, proportion, placement) of an existing part or art in the Heartwood catalog to suit your purpose. Please follow the link below to learn more and make a request. 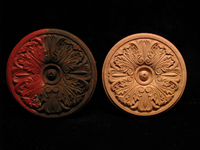 Reproduction and restoration services are for creating replacements of vintage carvings or period decor. 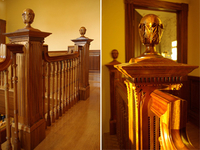 Our custom carving program permits you to submit requests for pieces made to your specifications in an art style of your choosing.